A fine old variety which arose in the west country and introduced in 1790. Still of value today for its very fine flavour. 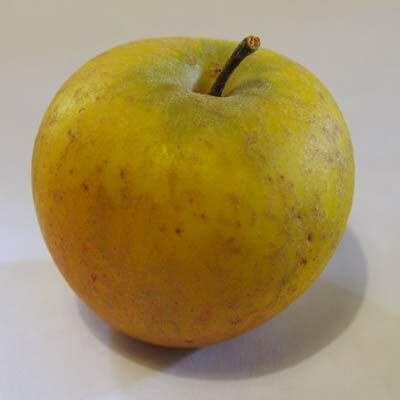 The handsome golden apples are flushed red and dotted with russetting. Produced on a vigorous upright spreading tree which is very wind resistant. The bright yellow flesh is intensely flavoured. Pick in late September, stores until Christmas. Good pollinators include: Discovery James Grieve, Redsleeves, Grenadier, Bountiful etc.